Fincantieri has contracted TMC Compressors (TMC) to supply compressed air systems to the four vessels the Italian shipbuilder is constructing for Norwegian Cruise Line Holdings Ltd. (NCL) (CruiseMapper). Under the contract, TMC will provide 2 x 44 kW marine water-cooled compressors and 2 x air cooled air dryers for control and service air on board each of the four vessels. The contract value for TMC is undisclosed. 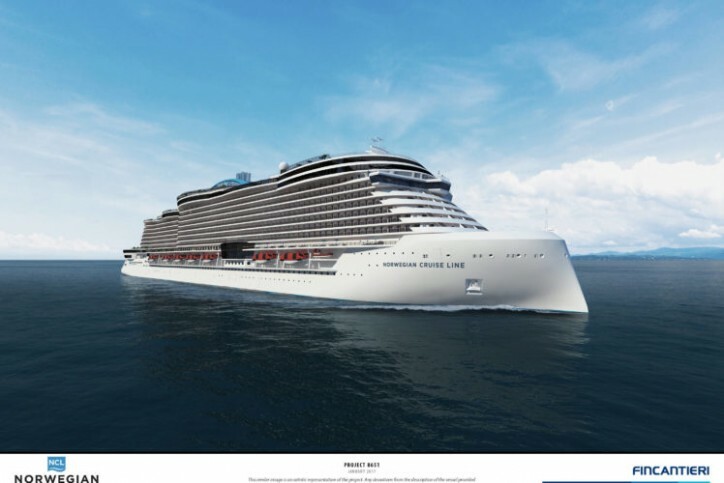 TMC also has an option to deliver similar compressed air systems to the two additional vessels that Fincantieri has an option to build for NCL. “Needless to say, to win a contract to equip four fantastic cruise ships is great news. To also have an option for two additional vessels is a fantastic bonus,” says Per Kjellin, managing director of TMC Compressors. The four ships are on order for delivery from Fincantieri in 2022, 2023, 2024 and 2025, with an option for two additional ships to be delivered in 2026 and 2027. The four 140,000 gross ton ships will each accommodate approximately 3,300 guests. The new class of ships will build upon the highly successful offering of freedom and flexibility found on the brand’s most recent Breakaway-Plus Class ships and feature a host of innovative designs that will further elevate its already award-winning guest experience. A priority of the prototype design is energy efficiency, with the aim of optimizing fuel consumption and reducing the impact on the environment. “While a lot of features on board a cruise ship can be both spectacular and exclusive, you want the on board compressed air system to be robust, reliable and working exactly as it should with a minimum amount of fuss. That is what Fincantieri and NCL will get from TMC. The vessel crew can easily maintain the system themselves, without the need for service technician, which helps keep operational costs to a minimum,” adds Kjellin. TMC will deliver the equipment to Fincantieri shipyard in Sestri Ponente (Genoa), Italy. TMC is the world’s leading supplier of compressed air systems for marine and offshore use. The company is a thoroughbred supplier of marine compressors, based on 40 years’ heritage in the marine, offshore and cruise industries. The company is headquartered in Oslo, with sales and service offices all over the world.